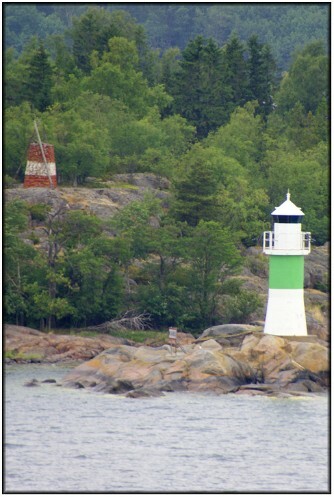 Many of the "inland" Swedish navigation lights are almost identical in design to their Norwegian "cousins" farther west, and this is a case in point. 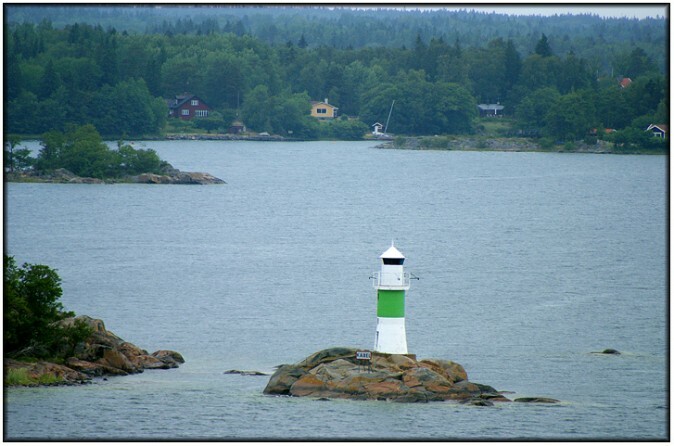 This light is located on a tiny rock off the eastern side of the island of Kapellskärsskäret at the entrance to the ferry port of Kapellskär. Although I can find no clear date for the construction of the present tower, it appears that there has been a light station here since 1882 and, certainly, the image above shows, at about 10 o'clock from the present tower, a former day mark (now in somewhat dilapidated condition). A photo of the daymark in better times can be found here. Another common feature with a lot of these smaller Swedish lights is that nearly ever one of them is accompanied by a large sign warning marked "Kabel" - I assume that this refers to the power cable for the light which is presumably laid on the seabed and linked to the electricity grid ashore. The image below shows a wider view of the site in which the rock on which the tower stands is more clearly visible. 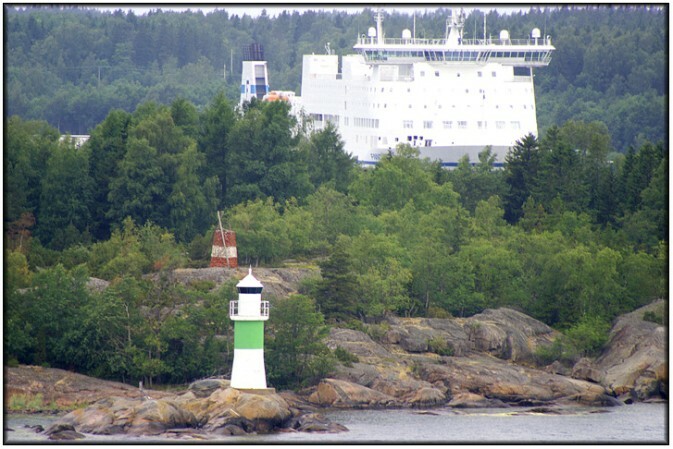 The photo below shows the light with a ferry at its berth in Kapellskär in the background. The ship in question is the Finnlines ferry, Finnclipper waiting to depart for Naantali in Finland.